The Last Refuge is the story of three aasimar and a tiefling sent to a strange new world on a divine mission. Trouble is, when they arrived, none of them could remember what that mission was, and only one of them had any interest in the god that sent them. Join Briathos, Byzdera, Flik, Kit, and DM Jazzy Hands as they play matchmaker with kobolds, assassinate yuan-ti political figures, and completely (if accidentally) disrupt the delicate equilibrium of the world they've found themselves in. Reviewers call it "a patchwork of beautiful storytelling, immersive roleplay, and a healthy sprinkling of humorous banter," and "bold, unique, and thrilling." The Last Refuge is a weekly D&D actual play podcast set in a completely original world. Happy gaming, y'all! New Episodes Released on Wednesdays! The Last Refuge is the name of the strange land that our characters found themselves on at the beginning of our story. So far, the characters know that the Last Refuge is one of a collection of islands. Somewhere near the center of this island lies a mysterious stone temple. The island is inhabited by various species of beasts and monstrosities, but there are only three intelligent species: kobolds, orcs, and yuan-ti. The Shimmerscale Tribe of kobolds is a kindly race that our adventurers allied with early on. The orcs are a matriarchal warrior society who ran afoul of the party some time after they arrived in The Last Refuge. The Yuan-Ti of the city of Silfssn are a hierarchical society wherein one’s societal standing is based entirely on the number of magic items a family possesses. Check back as more episodes are released for updated details on the setting. has been tabletop gaming since just before the release of D&D 5th Edition back in 2014. Though still a relative n00b to tabletop gaming, he's been a geek his whole life, devouring every fantasy novel he could get his hands on and playing through every RPG video game he could find, all the way back to The Legend of Zelda for the NES. Then, one fateful summer day in 2014, he sat down at a table with some friends and played a session of D&D, and nothing was ever the same. Since then, Eugenio has DMed more campaigns than he cares to count (including every official D&D 5E Adventure except Hoard of the Dragon Queen) ranging in length from 6 months to 4 years (and still going!). He also wrote an adventure that was published on the DMs Guild website and is currently a Silver Best Seller, A Haunting in Brenton! He occasionally plays as a PC, but he's much more comfortable behind the DM screen. This is his first attempt at homebrewing an entire world, and he's very excited to see how he, the players, and all of you help to shape The Last Refuge. Oh, and in his other life, he's a musical theatre actor and music director. Alex almost quite literally stumbled upon D&D back in August of 2014 and never looked back. Having begun his gaming shenanigans with the Cleric class, Alex specializes and in playing healers and casters of all kinds (I know, right?... I can't even - whatever). While he is definitely still new to the realms of gaming, his nerd-dom extends a wide range of subjects, from Harry Potter to classical music to chick flick references and - now - to researching the many facets of PCing. When he is not playing with these amazing people, he might be an actor living in New York City, but he is definitely eating pizza, taking a yoga class, or composing a blog post that takes 5-weeks to publish online. Karin is a self-identified fantasy-nerd, thanks to an early introduction to some of the classics by her father. She is very new to the world of D&D (as in, just started playing in February of 2017 thanks to an invitation from our very own DM Jazzy Hands! ), though she doesn’t understand why she didn’t start playing earlier. 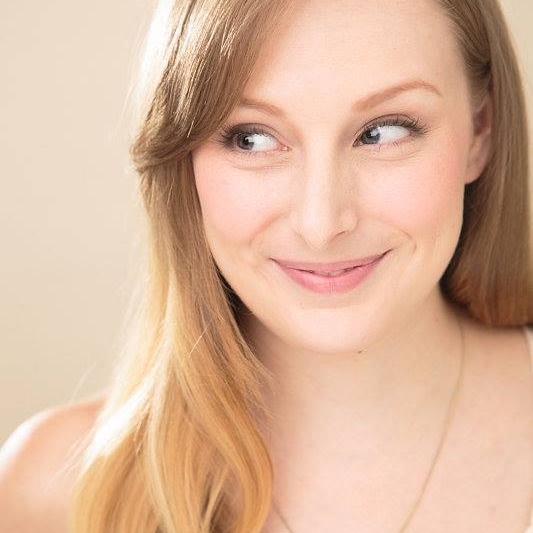 Originally from California, Karin now lives in NYC where she works at a non-profit musical theatre organization. Karin’s competitive karaoke team has won two seasons of NYC Karaoke League, and she has personally performed a series of embarrassing songs and dances to help lead her team to victory. When not doing any of these increasingly ridiculous activities, you can find her at the kickboxing gym, watching reality tv, or playing with her cat, Lyanna. Lydia's first introduction to D&D was through her oldest brother. She remembers dungeon tiles, but as a girl (and a toddler), she had more interest in My Little Ponies than dungeons. When she was a teenager, her brother brought her to a few LARP's, but she never thought D&D would be something she'd be into. Fast forward to one fateful night out with the girls, when one of them (Taryn) mentions her lifelong dream of playing D&D. Next thing Lydia knew, she had developed a passionate love for melee fighters and dwarves. D&D has given Lydia some of her closest friends, and helped her through terrible loss. She's run a few mini-campaigns as DM, but really loves being on the front lines of combat. Now living in San Diego, she's thrilled to play remotely with such amazing people. Taryn has a passionate love affair with D&D. She began playing after one (very wine filled) night at dinner. She professed her lifelong longing to play, but that the boys never allowed her to join because she was a girl. She is currently in a rogue phase (that sneak bonus though), but still loves to throw out a fireball every once in awhile. She grew up playing video games (Zelda and God of War being two of her favorites, and of course some Mario Kart), and living life for musical theatre. In "real" life, Taryn is a wedding planner and spends every day loving life with her two cats, two dogs, daughter, and her husband. Wearing a navy cloak to disguise his crimson skin and obvious tail-horn combo, Flik stands out as the teifling in the party. He was led away from his criminalized clan at a young age and brought to Spirit Soaring, the temple of the god Deneir found deep in the Snowflake Mountains, to begin his clerical studies. Becoming an acolyte of Deneir led Flik to the artistic light and knowledge he craved in his younger years, and from there, he became the first Light Cleric in the history of Spirit Soaring. His call to adventuring originates from a desire to rid the world of darkness that clouds even the tiniest flicker of light. Standing at a solid 6'1'' and equipped with his Amulet of Deneir around his neck at all times, he values truth and beauty above all else and finds comfort in a stale pun and good sense of humor. At 5’ tall, Kit is a rather petite aasimar Druid who might not have chosen the life that her celestial background necessitates, though she does accept it. Constantly putting the needs of others before her own desires, Kit is fiercely devoted to those around her; she doesn’t even seem to realize there’s another choice but to help. Her bright red hair and tendency to make references that no one else understand make her stand out in a crowd, and cause her to fiercely miss her childhood sweetheart, who she fears she may never see again. Byzdera was taken to a Monastery when she was very little as an orphan. Growing up surrounded by monks, she learned a lot, but she always had more energy than the monks knew what to do with, and a wild side that they couldn't curb. She got into her fair share of trouble while she was growing up, but she never lost sight of the lessons they imparted and the martial arts they taught her. She is around 5'7", all arms and legs. Her skin looks slightly grey and her hair a blonde so light it can be called white in the right light. Soulful ice blue eyes peek out beneath a mask she wears most of the time. Bria was raised in a boarding school but never quite fit in with all of the kids who got to go home to their families. Being an aasimar, her celestial father has always sent her her "assignments" through visions, most of which had to do with how important her training as a cartographer was. One night, she saw a rogue stealing from someone in a town square. She followed the rogue to bring about justice but was seduced by their lifestyle and began to train as a rogue during the evening. She's 5'10", with nondescript brown hair, very pale skin, and haunting light brown eyes.